The early activism against abortion took place largely under the radar of official church approval and structures, according to Daria Oreshina (National Research University, Moscow), who presented a paper on this subject at the recent meeting of the Association for the Sociology of Religion meeting in Las Vegas, which Religioscope attended. Such activism was based in parishes with laypeople and priests ministering to those who were unhappy with the Russian healthcare system and the problems it had in providing childbirth and childcare services. Abortion was and continues to be used as a means of birth control in the Russian healthcare system. The parishes were among the few places where such grievances were aired and thus drew many sympathizers from outside the church. The parishes, under the initiative of activist priest Fr. Dmitry Smirnov, became part of a network that provided healthcare to pregnant women as well as psychological counseling to women in distress. The number of local pro-life organizations grew steadily during this time, increasing from 3 in 1994 to over 100 after 2010. Most of these groups continue to be run by volunteers and full-time, unpaid employees. Oreshina said that since 2010 the official church began to coordinate pro-life activities under its centralized social service departments. 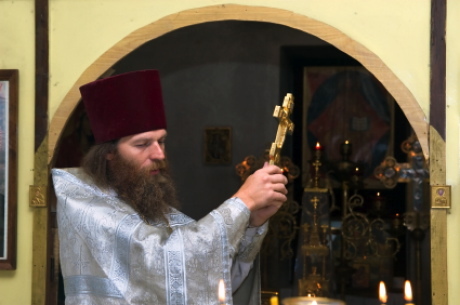 Much of this change came with the appointment of Kirill to the Patriarchate in 2010. She added that the pro-life movement has gone from a largely negative mode of criticizing the healthcare system to a more “civic” stance, focusing on family life and values. Even today, most women’s clinics do not include pre-abortion counseling and gynecologists treat abortion as any other medical procedure. Thus, Orthodox pro-lifers and their involvement in pre-abortion counseling “perform functions of public health,” which the clinics and the government in general fail to provide, according to Oreshina. The New York Times (June 9) reports that Russian activists have adopted American-style pickets of abortion clinics.” Reporter Sophia Kishkovsky writes that the official church involvement in the issue has been supported by wealthy and influential patrons seeking to promote patriotic and religious values, such as Russia’s first lady, Svetlana Medvedeva and the Sanctity of Motherhood, a foundation started by the wife of the head of Russia’s railroads. Activists are trying to pass an amendment which would make it more difficult to get an abortion in a country where the practice as often served as a form of birth control. The movement has created unusual coalitions, such as with the Rockford, Ill.-based World Congress of Families. Larry Jacobs, president of the congress, organized a U.S. tour for Russian Orthodox Metropolitan Hilarion, who has been in the forefront of encouraging a “strategic alliance” with evangelicals and Roman Catholics on pro-life and other moral issues.